Do you feel like you aren’t where you want to be in your business? Maybe you have all these ideas you want to implement but you need some help to take action on them? That’s where a Business Mentor can be beneficial to your business. Someone who has the the business experience you need and can guide you through the process of implementing similar things in your business. Someone who can look at your business objectively and help you decide whether something will be right for your business or whether a different approach would work better. Someone who can set their own agenda aside and be there for you when you need support and encouragement AND help you come up with awesome ideas for your business. What kind of thing can a Business Mentor help you with? Creating a growth strategy to take your business to the next level. Maybe you feel you are a bit stuck and can’t move onto the next stage of your business. Introducing a content strategy so that you can attract ideal clients to your business and grow your customer base. Developing an online audience using social media so that people know about your business and what you have to offer. Putting in place strategies to nurture and develop relationships with existing customers. 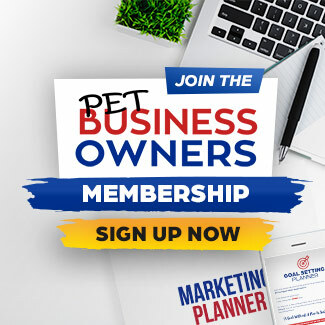 Making you stand out as the go to pet care professional in your area for the services that you offer. Being there to help you think through ideas and supporting you while implementing new strategies. How does Mentoring with Kate work? Once you sign up for a mentorship programme I will email you within 24-48 hours. In that email I will ask you to outline what you want to work on in your business, where you are now, where you want to be and what areas you need my help in. The more detail you give me the more we can get done during the calls. After I have received all of that information we will arrange for the first call to take place. Calls can be weekly or fortnightly. After each session I would expect you to work on whatever action points we agree prior to our next call. What options are there for Mentoring?